Coffee with the Poets and Writers will have their annual holiday program on Wednesday, December 16, 2015, at the Moss Memorial Library, Hayesville, NC. It will be open mic, so bring your Christmas or holiday poems, short stories, or essays of your original work. Everyone will take home a gift. This is the time our members can sign up to read for next year. We will not meet in January and February. Poets and writers Glenda Council Beall and Karen Paul Holmes will read at the John C. Campbell Folk School, in Brasstown, NC, on Thursday, September 17th, at 7:00 PM. The reading is open to the public. Glenda Council Beall is the owner and director of 'Writers Circle Around the Table', a studio that provides education for writers. She also teaches writing in the continuing education department at Tri-County Community College in Murphy, NC. Beall also taught memoir writing at the folk school. Her poems have appeared in numerous journals including Wild Goose Poetry Review, Appalachian Heritage, Main Street Rag, Journal of Kentucky Studies, Dead Mule School of Southern Literature, Red Owl Magazine and in the anthologies, Kakalak – Anthology of Carolina Poets, 2009, 2011 Poetry Hickory, FutureCycle, Lights in the Mountains, Women’s Places Women’s Spaces, On Our Own, Widowhood for Smarties, From Freckles to Wrinkles, and Reach of Song published by the Georgia Poetry Society. Her poetry chapbook, Now Might as Well be Then, published by Finishing Line Press, is available at City Lights Bookstore in Sylva, NC, and online from Amazon. 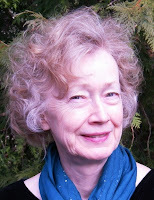 Karen Paul Holmes is a freelance writer and poet. Karen has a full-length poetry collection, Untying the Knot, published through Kelsay Books and available on Amazon. Her poetry credits include Poetry East, Atlanta Review, Main Street Rag, Caesura, and The Sow’s Ear Poetry Review. Poems have also appeared in anthologies such as American Society: What Poets See (FutureCycle Press), and The Southern Poetry Anthology Vol 5: Georgia (Texas Review Press). In 2012, Karen received an Elizabeth George Foundation emerging writer grant for poetry. She has taught writing at national business conferences, at ICL through Young Harris College, and at the John C. Campbell Folk School. The NC Writers’ Network-West held their monthly Coffee with the Poets and Writers at Joe’s Coffee House, 82 Main Street, Hayesville, NC, on Wednesday, July 8 at 10:30 a.m..
Two local members of NCWN-West, Estelle Darrow Rice and Glenda Council Beall were featured on the program this month. Glenda Council Beall began Coffee with the Poets and Writers in 2007 and continues to facilitate the event. Her poetry and prose have been published in newspapers, anthologies, online and academic journals, and in her chapbook Now Might as Well be Then published in 2009. She published a family history book Profiles and Pedigrees, Thomas C. Council and his Descendants, in 1998. She is a Georgia native, a graduate of the University of Georgia and a former elementary school teacher. She now teaches writing for adults at Tri-County Community College in the community enrichment program and at her home studio, Writers Circle, in Hayesville, NC. Beall's blogs are: www.profilesandpedigrees.blogspot.com and www.glendacouncilbeall.com. Estelle Darrow Rice is a North Carolina native who has lived in other states but came back to spend retirement in the mountains in Cherokee County. She holds a BA degree in Psychology from Queens University, Charlotte, NC and a MA degree in counseling from the University of South Alabama, Mobile AL. Thank you, Glenda and Estelle for entertaining us with your poetry and writing! April is poetry month and there is no finer way to celebrate than attending Coffee with the Poets, a monthly event held at Joe’s Coffee Shop and Trading Post, 82 Main Street, Hayesville, NC. North Carolina Writers Network-West sponsors this event which meets at10:30 a.m., Wednesday, April 8, 2015. Recently a visitor to our area said, "This should be on a list of things to do here!" Two widely published local poets, members of NCWN West, Brenda Kay Ledford and Nancy Simpson, are featured on the program this month. Coffee with the Poets and Writers is open to the public at no charge. Bring a poem or short prose, 1000 words or less, and read at Open Mic. Joe’s Coffee shop serves fine coffees and teas, and snacks can be purchased. Brenda Kay Ledford is a well-known poet and native of Clay County, NC. She holds a Master of Arts in Education from Western Carolina University. She has done post-graduate work in Appalachian Studies, and the theme of most of her writing is her Appalachian heritage. 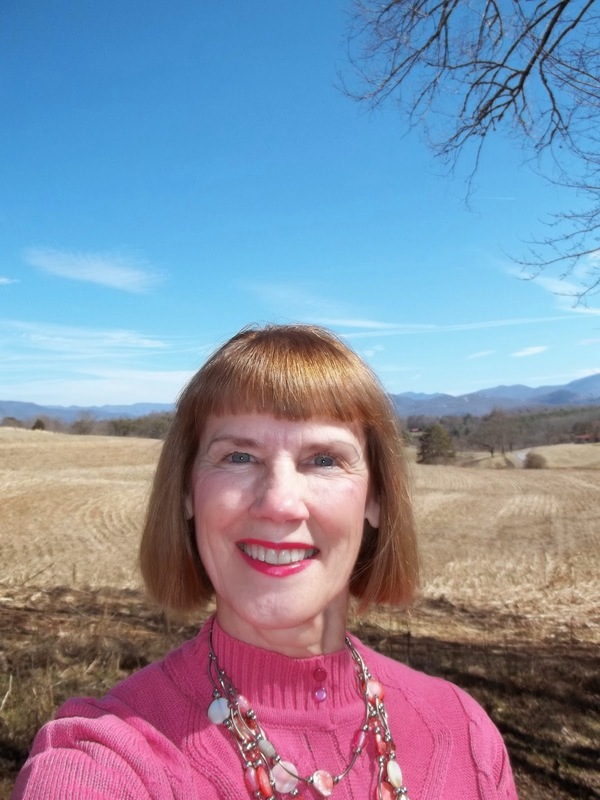 Brenda received the Paul Green Multimedia Award from the North Carolina Society of Historians seven times for her books, her collections of oral history, and her blog Historical Hayesville. 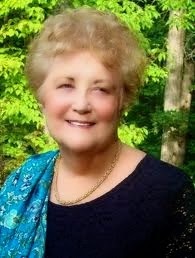 Her work has appeared in Our State, Carolina Country Magazine, Chicken Soup for the Soul, Appalachian Heritage, Wild Goose Poetry Review, Journal of Kentucky Studies, Asheville Poetry Review, Country Extra Magazine, Blue Ridge Parkway Silver Anniversary Edition Celebration, and many other journals. Finishing Line Press published Brenda’s poetry books: Shewbird Mountain, Sacred Fire, and Beckoning. She co-authored Simplicity with Blanche L. Ledford. 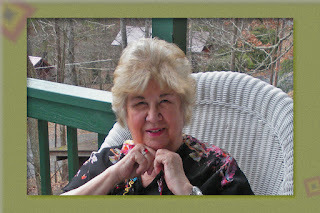 She is also an outstanding photographer as you can see on her blog, Blue Ridge Poet. Nancy Simpson lives in Hayesville, NC. 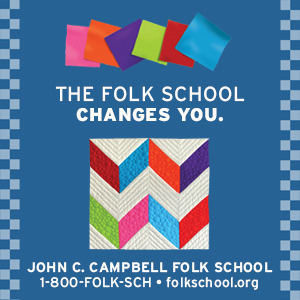 Through 2010 she served as Resident Writer at the John C. Campbell Folk School. She taught many of the poets and writers in this area in her classes there and at Tri-County Community College. She also taught poetry for ICL at Young Harris College. 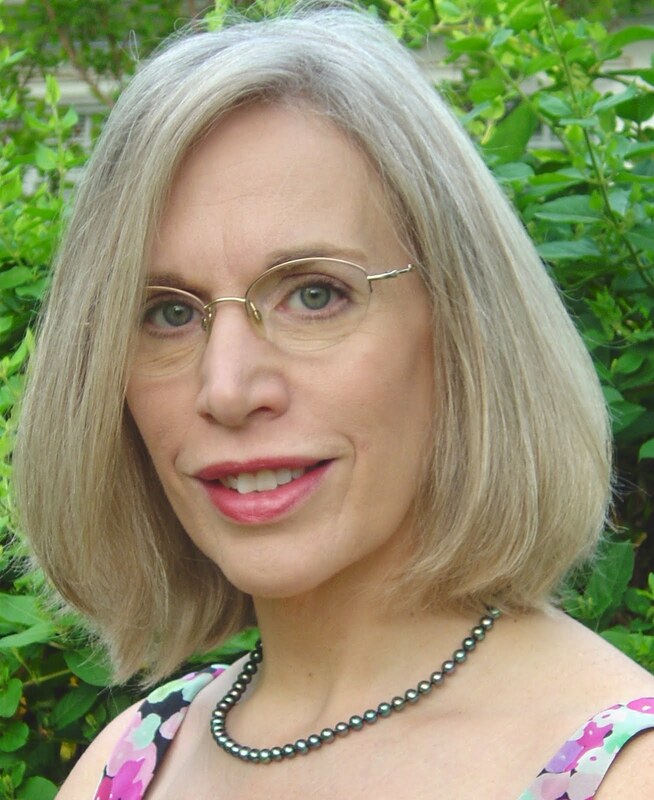 Nancy is the author of three poetry collections: Across Water, Night Student, and most recently Living Above the Frost Line, New and Selected Poems (Carolina Wren Press, 2010). 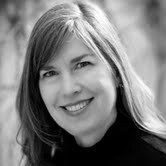 She also edited Echoes Across the Blue Ridge (anthology 2010). She holds an MFA from Warren Wilson College and a BS in education from Western Carolina University. She received a NC Arts Fellowship and co-founded NC Writers Network-West. 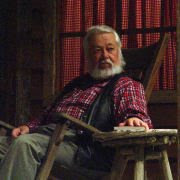 Simpson’s poems have been published in The Georgia Review, Southern Poetry Review, Seneca Review, New Virginia Review, Prairie Schooner and others. Her poems have been included in anthologies, Word and Wisdom, 100 Years of N.C. Poetry and Literary Trails of N.C. (2008). Her poems have also been featured in Southern Appalachian Poetry, a textbook anthology published at McFarland Press. Visit her blog, Living Above the Frost Line to learn more about her. Contact NCWN West Representative, Glenda Beall, at 828-389-4441 or glendabeall@msn.com for information.